With the all-new 2019 Ford Ranger off to a strong start since the first trucks went on sale in January, Ford is already introducing a new Black Appearance Package, helping buyers further customize their Ranger to match their unique personal style. More than two-thirds of all-new Ford Ranger pickups are leaving showrooms optioned with either the Sport Appearance Package that adds unique wheels and Magnetic Gray-painted accents, or the Chrome Appearance Package with bright chrome wheels and chrome body accents. The new Black Appearance Package gives Ranger customers a bold and stylish new option. The Ford Ranger Black Appearance Package is available as an option for $1,995 (excludes taxes) and can be ordered at dealers now, with deliveries targeted to begin in early summer. In addition to individual style, the all-new Ford Ranger answers the call from truck customers looking for an affordable, rugged and maneuverable midsize pickup that’s Built Ford Tough. 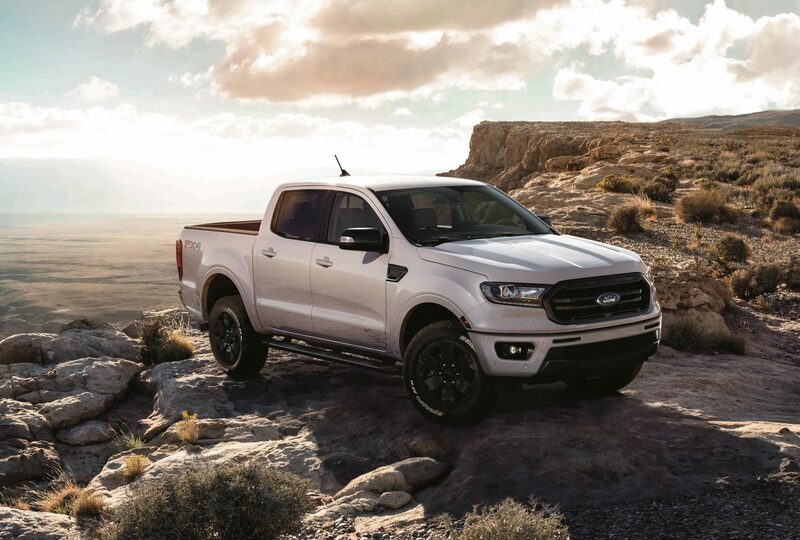 Torture-tested alongside Ford F-150 trucks, Ranger quality starts with a high-strength steel frame backbone, proven Ford-built 2.3-liter EcoBoost® engine and class-exclusive 10-speed automatic transmission. Inside, Ranger blends comfort and functionality with room for up to five people, their gear and accessories. The center stack includes an 8-inch touch screen for the available SYNC® 3 system, while the instrument cluster features productivity screens for real-time vehicle and audio information plus available navigation. 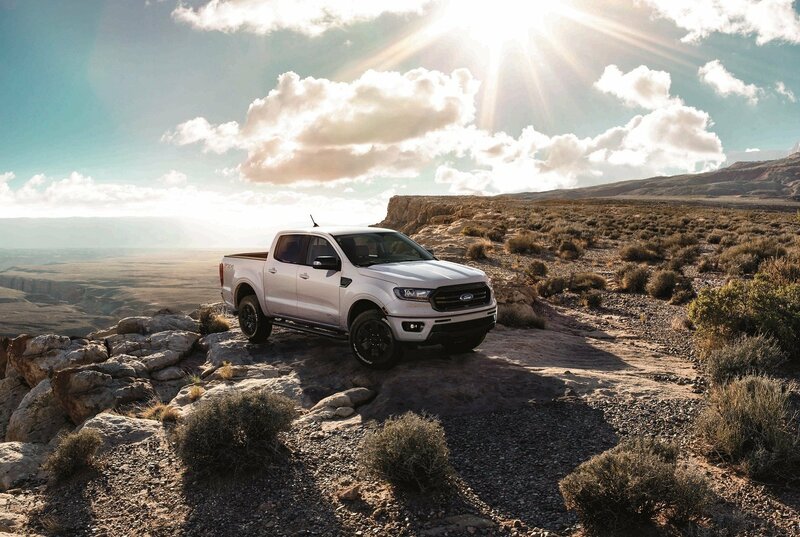 Ranger incorporates advanced passenger convenience and connectivity features, plus smart driver-assist technologies including standard automatic emergency braking. Ford Co-Pilot360™ technologies like Lane-Keeping System and class-exclusive Blind Spot Information System with trailer coverage are standard on XLT and Lariat trim levels. Additional driver-assist technologies including adaptive cruise control and forward and reverse sensing systems are available on both XLT and Lariat.